Item Number: 84-6-04B 12788 Actual Weight: 0.1 lb. Terrific alternative to tape, glue, or nails! Adhesive-backed pressure-sensitive hook and loop coins can be fastened again and again. Precut and packaged on a roll in a convenient dispenser for quick, easy use. 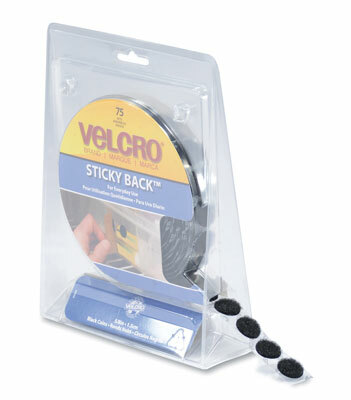 VELCRO® is a registered trademark of Velcro BVBA. Used with permission.